This weekend marks the 99th anniversary of the start of what would later be know as the Battle for Mouquet Farm, and an appropriate time to reflect on the life of Martin O’Meara VC. Martin was Australia’s only Irish-born VC winner and was awarded the VC for bravery in rescuing men and transporting supplies whilst serving with the 16th Battalion – officially between 9-12 August 1916 but it seems likely that he was involved in the fighting on 8 August 1916 as well when a company of men from the 16th Battalion assisted the 15th Battalion in an overnight attack on a trench system known as Park Lane just north of the village of Pozieres. As a scout/observer/scout (not as a stretcher bearer, as some accounts of Martin’s life would have you believe), Martin would have been involved in patrolling No Man’s Land between the Australian and German positions and assisting the attacking Australians (initially the 15th Battalion and subsequently the 16th Battalion) as they moved forward. It is also possible that he was involved in sniping at enemy positions during this period. 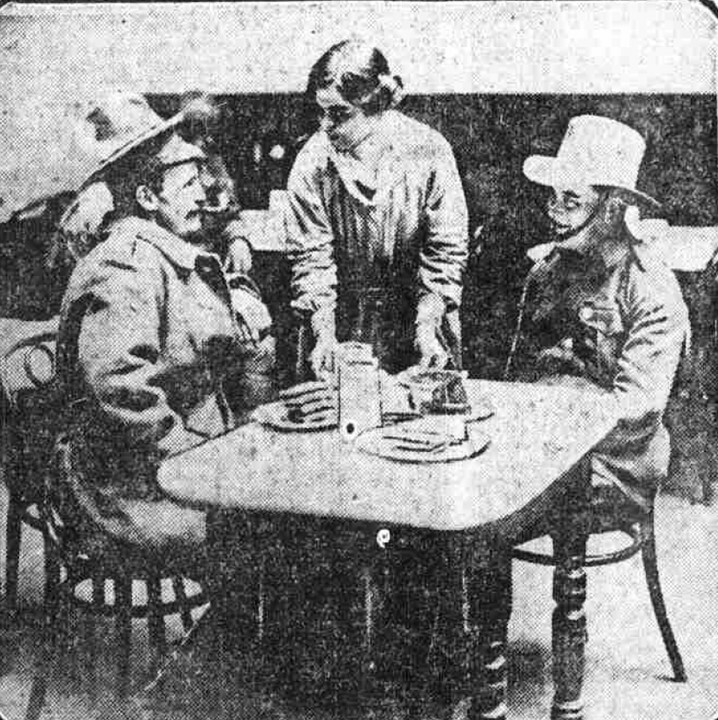 The records available indicate that he encountered a number of wounded Australians (and British) men in No Man’s Land from 9 August 1916 onwards as some recalcitrant German machine gunners forced many Australians (and British) to move back to their original positions near the Brind’s Road trench system and leave some wounded men behind. He repeated these actions until 12 August 1916 when the 16th Battalion was withdrawn. Martin returned to Australia in November 1918 and remained in mental hospitals here in Perth until his death in 1935. The cause of his mental illness remains unclear as he was never diagnosed with ‘shell shock’ during the war, although the war (generally) is a likely factor and there are several other factors that probably played a role. 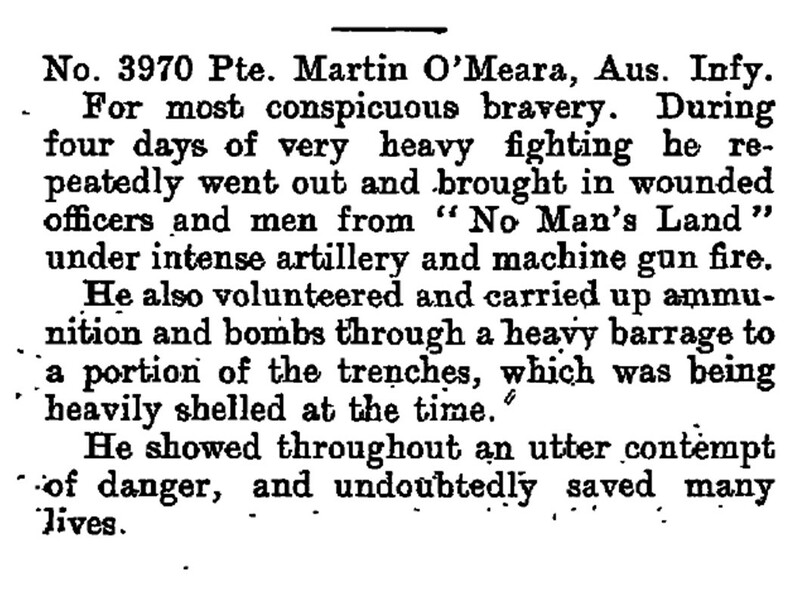 My forthcoming book on Martin O’Meara VC will look at these issues in greater detail. but I am happy to share my learnings o flick me an email (see contact me) if you want my thoughts sooner rather than later.